How many coaches does a team need? Despite the differences in aim and scope, we often make the comparison between Scouting and team sports in order to clarify the way something less familiar works (Scouting) in terms that most people can understand (sports). Each has the equivalent of players, coaches and spectators. Each has the rules and boundaries of the game. Take a baseball team, for instance. The usual size of a team’s roster is about 35 players, divided into categories: outfielders, infielders, batterie, and reserve (relief pitchers and designated hitters). One of the players is usually chosen team captain by his teammates. Teaching and guiding these players are the various position coaches: the pitching coach, bullpen coach, hitting coach, base coaches, and the head coach or manager coordinating. A Boy Scout troop has a very similar structure. Thirty-five Scouts is a good size for a troop. 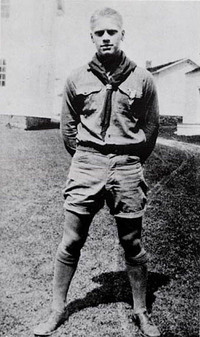 It’s comprised of perhaps four patrols of eight Scouts each, along with the senior patrol leader and his assistant. Each patrol has a different specialty: one may be a new-Scout patrol, one might be good at campcraft, while another enjoys outdoor adventure. There are assistant Scoutmasters who help the head coach, the Scoutmaster, guiding and mentoring the patrols. One important distinction is in what the parents do. Parents don’t often attend the practices, and at games they sit away from the players behind a fence that clearly separates the spectators from the field of play. A baseball game is intended to be watched by a crowd; this helps to inspire the players and provides entertainment for the audience attending. In Scouting, there really isn’t much of a direct role for the parents in the sense that they don’t spectate or observe the game that’s being played. Parents aren’t supposed to congregate at the perimeter of the campsite, the Scout Hut or the church gym and watch the Scouts at practices (troop meetings) and as they go about their duties and activities at camp (game day). Sometimes, parents don’t understand their role with respect to the Boy Scout program in general and within the troop in particular, but it’s really not that much different from a baseball team. 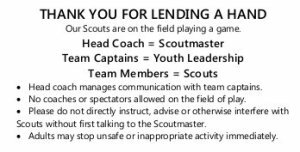 In baseball, the head coach is responsible for the players on the field; in a troop, the Scoutmaster has basically the same function. He’s helped by his position coaches (the assistant Scoutmasters), and the Scouts “play the game”. If there’s one thing they don’t need, it’s more coaches. Clarke Green developed a small card that explains the relationships in a succinct way. You can download the PDF from his website and print your own cards to hand out to parents. Sometimes, well-meaning but clueless parents can get in the way of the game of Scouting, just as it would if a group of parents who didn’t know the rules of baseball ran onto the diamond and “helped” their kids play second base or left field. 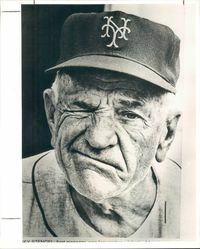 The baseball coach (and the umpire!) sure wouldn’t appreciate that sort of interference, and neither should the Scoutmaster. Just as with a baseball team, all of our activities are open to observation by the parents. If they want to, they can attend a troop meeting or come along on a campout – but they must only observe and not participate. They have to stay behind the fence, and they can’t run on to the field, pick up a bat or glove, a dining fly or a tent stake, and give their son a little “help” playing the game. One head coach is enough in either case. repost this in March to give to parents crossing over from cubs to boy scouts. nicely done. Next PostNext Does “Honor” mean anything anymore?